The Second Civil War was fought over abortion rights. 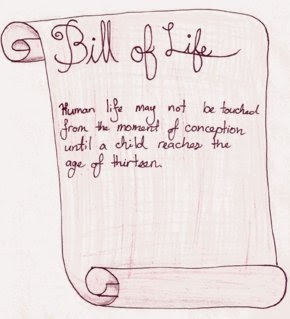 The chilling resolution: Life is inviolable from the moment of conception until age thirteen. Between the ages of thirteen and eighteen, however, parents can have their child "unwound," whereby all of the child's organs are transplanted into different donors, so life doesn't technically end. 3 children- Connor, Risa, and Lev are running for their lives. Together, can they survive and escape until they're all eighteen? The hype for Neal Schusterman’s Unwind trilogy is past the roof and beyond; and I can’t way I don’t really see why. This is a thought-provoking and decently executed novel and I have no regrets reading it; even if it didn’t particularly blow my mind. First came the Second Civil War (a.k.a. the “Heartland War”) – a long and deadly war fought over abortion rights. Neither side would give up. Until, finally, a compromise was made. The compromise: Unwinding. I really admired how Schusterman really didn’t tone down the gore in Unwind. Not many young adult authors have the guts to create something so gory and violent, but Schusterman doesn’t shy away from what he knows is his strength, and I admire him for that. During the course of the story, you’ll follow three teenage protagonists – who all happen to be getting Unwinded (but for very different reasons). Connor: Connor’s short temper annoys his parents on multiple occasions – eventually causing him to be Unwinded. Risa: Risa is an orphan who is being Unwinded to help her orphanage save money. Lev: Lev’s parents have certain religious views that believe Unwinding is a service to God. I found that Schusterman took some really intriguing borderline characters and really made them vibrant and gave them the necessary backstories they needed to help us empathize with them. However, what I loved most about this book is that it makes you think. There are a lot of great books out there – but Unwind is one of those rare books that truly gives you a new opinion on how much life is worth. It provides some excellent moments for deep thinking and rejoicing on how much we, as people, take for granted. About 100 or so pages before you end the book, it still might not appear to be that brutal. But once you finish, you’ll see not only how brutal it is – but rather how much we can learn from it. Unwind certainly lives up to the hype, but does it surpass it? No, not quite, sadly; but it’s still quite enjoyable and does have a few moments that offer some intensive thinking and reflection.